For a vibrant, accessible, and down-to-earth neighborhood that’s just a few stops away from the heart of the city, you can’t do much better than Bridgeport. 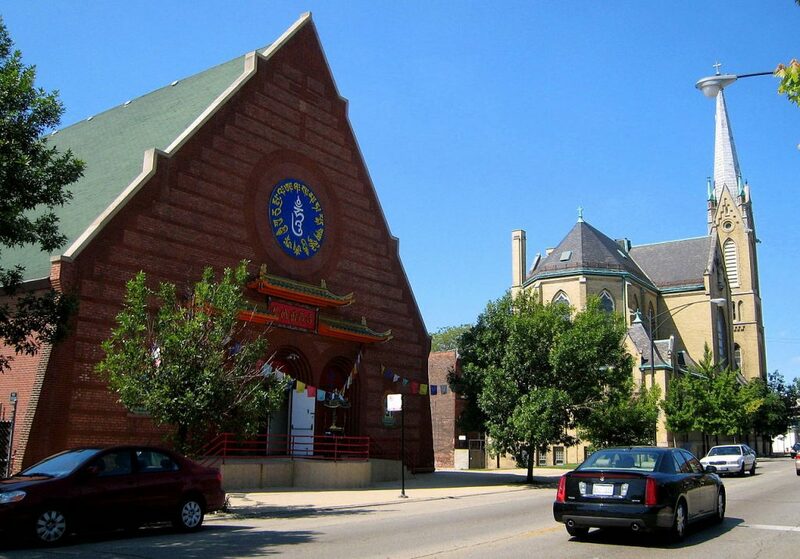 Located a little southwest of downtown, Bridgeport features a range of local restaurants, a thriving alternative art scene, and one of the most ethnically diverse communities of all Chicago neighborhoods. As your go-to Bridgeport movers, we’ll help you settle right in to your new home, so you can quickly become part of this area’s long history. About 60,000 people live in Bridgeport, with a few more men than women. Almost 40% have immigrated from other countries. People in Bridgeport tend to live in multi-person households, and roughly a quarter of households have kids. The median income is $36k per year. Bridgeport was settled in the 1830s by Irish workers, who were given rights to buy the land near the Erie Canal, which they helped build. Other European immigrant groups moved in throughout the 19th century, while communities from Mexico and China arrived in the years that followed. All these cultures, and more, have left their mark on Bridgeport today. Now you’ve got the gist, here are some highlights—and basics—we found to help you start your best Bridgeport life. Palmisano Park: Repurposed quarry with trails, fields, and fishing pond. McGuane Park: Sports fields, swimming pool and community spaces. Bridgeport Art Center: Multi-disciplinary work spaces, exhibits and event venues. Zhou B Art Center: Work spaces, galleries and events. Co-Prosperity Sphere: “Experimental cultural center” for arts and education. Let’s Boogie Records and Tapes: Music and movies in multiple formats. Pizza: Punky’s Pizza and Pasta. Delivers. Mexican: Antique Taco. Happy hour specials. Chinese: Han 202. Detail-driven prix fixe. Japanese: South Kawa. Sushi and more in modern setting. Korean-Polish: Kimski. Counter-service street food. Mediterranean: Zaytune Mediterranean Grill. Fresh ingredients, delivers. Brunch: Nana. Mexican, American, organic. Other meals, too. Diner: George’s Restaurant. Casual variety for the whole family. Dessert: 26th Street Sugar Shack. All kinds of sundaes. Cocktails: The Duck Inn. Paired with full cutting-edge food menu. Beer: Mitchell’s Tap. Wide selection, patio, and year-round communal events. Music: Bernice’s Tavern. Cozy space with open mic nights. Local: Maria’s Packaged Goods and Community Bar. Liquor store and tavern. Serves food from Kimski’s, above. Cermak Fresh Market: Local chain, global selection. Bridgeport Coffee House: Tin-ceiling space attached to roastery. Jackalope Coffee and Tea House: Sandwiches and colorful decor. Gio’s Cafe and Deli: Sicilian. BYOB. Palmisano Park. Dog friendly areas. McGuane Park. Dog friendly areas. Charter Fitness: Equipment, personal and group training. Bridgeport Athletics: Personal training and Crossfit. This has been a tiny sampling of the great things you’ll experience at your new Bridgeport home. As a seasoned Bridgeport moving company, we’ve learned all about the staples and cool places in the area. We’re happy to share more! As you’re planning your big move, cross one major thing off your to-do list, and book Bridgeport movers who’ll a take load of stress off your mind. Call us at New City Moving, and we’ll help you move safely, smoothly, and on-schedule, so you can settle right in and start living your greatest Bridgeport life.